Alright! I know March of 2012 has forced me on the bad side of my 20's, but I refuse to be too old to dress up for Halloween. After all, it is one of my favorite holidays. The abundance of candy, making a complete fool of yourself, and way too much make-up than is necessary... What's not to love?! 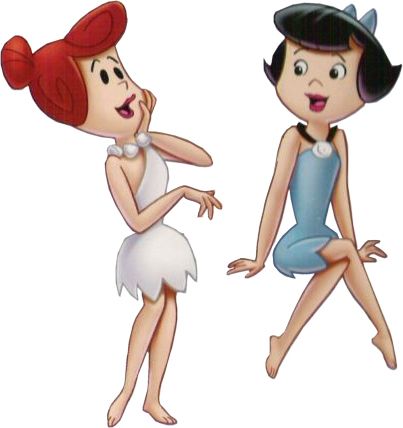 This year, we decided to go as the Stone Age's finest, two chicks: Wilma Flintstone and Betty Rubble. If you like what you see then you had better hurry over to MAC, because right now you can pre-order these awesome holiday kits that will be shipped to you free of charge. Quantities are limited, so they are sure to fly off the shelves when they launch in-store on the 23rd. Get excited because not only are these leopard-print makeup bags super cute, but the contents inside are FULL size! The kits range in price from $39.50-$49.50, so you do the math. Neutrals are the au naturel of fashion. They provide a classic look that will never go out of style. 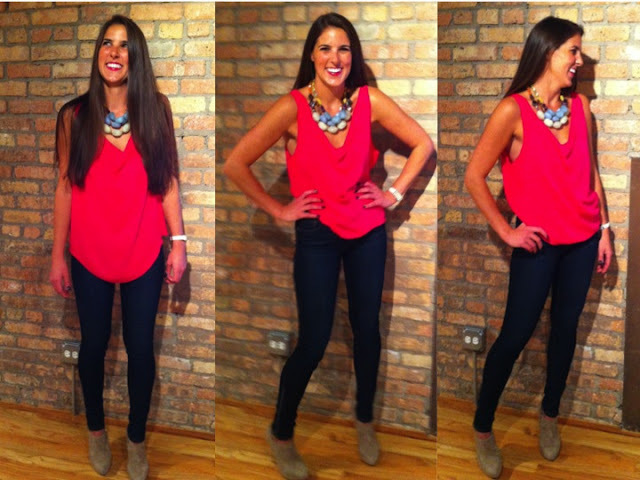 Next time you are sporting some Earth tones, try accenting your ensemble with a little navy. A lot of women are hesitant to wear it, but whomever created that stigma is a moron because navy looks good on everyone. Meanwhile, back at the ranch... Don't get me wrong- I have more vibrant, jewel-colored tops in my closet than I know what to do with, but neutrals rock because you can still create a show-stopping look, without being too showy. Congratulations to my beautiful friend, Andrea, who found out that she passed the bar this week! Can you imagine... this bombshell walking into to the courtroom- Case dismissed! In all seriousness, I could not be prouder of my mama bear, who has never looked better.